The Phlox genus has numerous species of annuals and perennials that belong to the Polemoniaceae family. 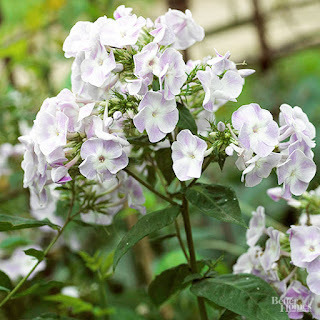 Phlox are a variable group, ranging from carpeting rockery groundcovers through wiry-stemmed trailers to large bushy perennials with strongly erect stems. The genus name comes from the Greek word for flamean which is an apt description for the vibrant flowers in this genus. Phlox that grow well in Coffs are the annual phlox which tend to be small mounding bushes. If left alone they will readily self seed and come up to surprise you again the following year with their happy colours and sweet perfume. In Miyazako, Japan there is the most amazing field of moss phlox, Phlox subulata planted adjacent to a farmhouse owned by the Mr & Mrs Kuroki. 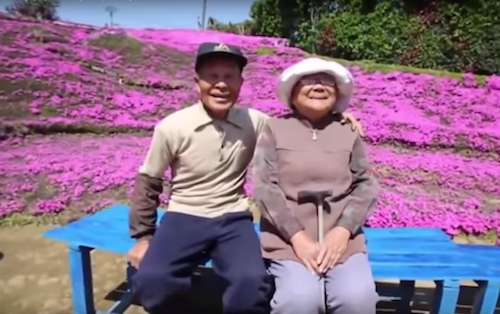 Mrs Kuroki had become blind and her husband wanted to entice her outside again, so planted a field of phlox. Today, thousands are drawn each year to experience this wonderful sight AND smell.